As is the case in general when it comes to family law, courts are always concerned about what is in the best interest of the child when it comes to making custody and parenting/time-sharing arrangements. At the same time, courts, in general, also have to respect the Parental Rights Doctrine, which historically upheld parents’ fundamental right to raise children as they see fit. Although a decision in 2000 opened the door for states to become more involved in what, exactly, that parental right entails, it is the public policy of Florida that each minor child has frequent and continuing contact with both parents after they separate, and encourage parents to share in their rights and responsibilities. That being said, there are some circumstances under which a child’s biological father can be denied parental rights. It is crucial, therefore, that if you have a child born out of wedlock or are going through a divorce, you understand how Florida is different when it comes to the concepts of child custody. Most child custody concepts differentiate between “legal” custody and “physical” custody. Traditionally, legal custody granted the parent the right to make important, binding, long-term decisions, such as those that apply to medical care and education; while primary physical custody described the parent with whom the child spent most of their time with. While Florida prefers that parental responsibility for a minor child be shared by both parents, if the court finds that shared responsibility will be detrimental to the child (i.e. 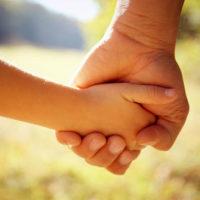 if one parent has been convicted of a first degree misdemeanor or higher involving domestic violence and/or meets various other criteria outlined under law), the court can order “sole parental responsibility” and make whatever time-sharing arrangements it deems to be in the best interest of the child. However, even with shared (joint) responsibility, the child will typically have a primary residence. Florida courts can also provide for alternative arrangements for a child if it is in the child’s best interest. That can involve more time-sharing with grandparents, or even appointing a guardian for a minor. Florida has a set of child support guidelines that it follows. The guidelines are roughly based on such factors as the needs of the child, age, station in life, standard of living, and the financial status and ability of each parent. If you or a loved one is involved in a child custody dispute or working on child custody arrangements, contact HD Law Partners today to get the professional legal help you need. 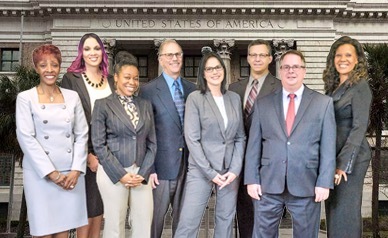 Our experienced team of Tampa, Orlando, and Sarasota timesharing and parenting plan attorneys provide strong legal advocacy and ensure that you and your child’s best interests are protected.